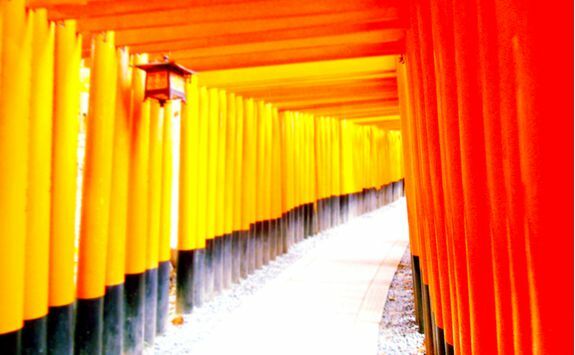 Japan is a fascinating and hugely rewarding destination, and even more so when explored in style. 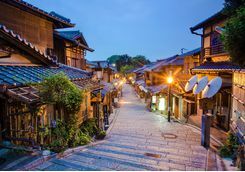 This two-week itinerary takes in wacky and wonderful Tokyo and culture-packed Kyoto alongside beautiful rural areas such as Hakone and Ago Bay, all the while staying in incredibly stylish hotels or beautiful ryokan inns, and enjoying the finest experiences the country has to offer in the capable hands of the finest private guides. Your flight arrives into Tokyo Narita in late morning and you will be met for your private chauffeur transfer into Tokyo. 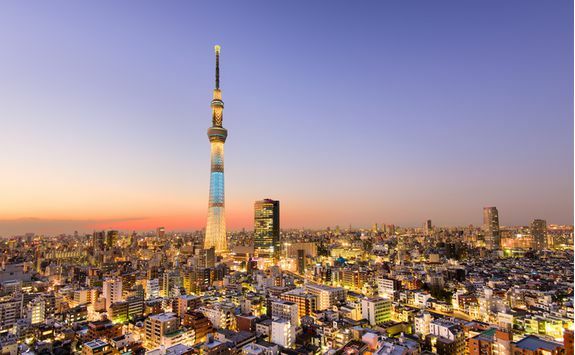 The journey takes an hour and a half and you will be staying in one of our selection of outstanding city hotels in the Japanese capital. Have lunch in your hotel and then you have the rest of the afternoon to relax. Maybe go for an ultimate swim with a view in your hotel's pool, or enjoy a massage after your long flight. 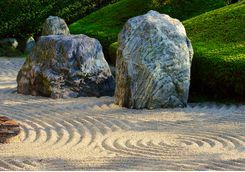 Whatever you do, don't get too relaxed - you need to get on to Japanese time as soon as possible, so sleep is out of the question. 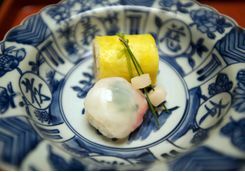 This evening you will enjoy the first of several opportunities on this trip to really immerse yourself in Japanese culture, by enjoying a formal kaiseki multi-course dinner. 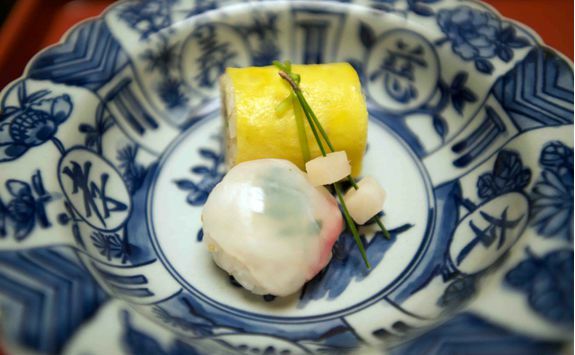 Here the chef presents a succession of seasonal courses, using the finest local ingredients and with the emphasis on the flavours but also the intricate presentation. 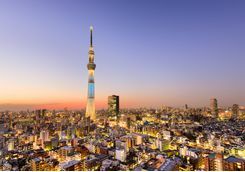 Every one of the hotels we work with occupies the upper floors of some of Tokyo’s tallest tower blocks, so you can expect world class views of the city and – on a good day – Mount Fuji in the distance. 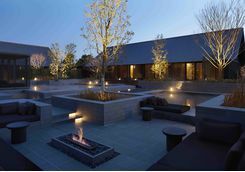 We can explain the subtle differences between the various hotels from personal experience, and suggest the right one for you, but what is guaranteed – whichever you choose – is supreme hi-tech comfort in the rooms and second-to-none service. 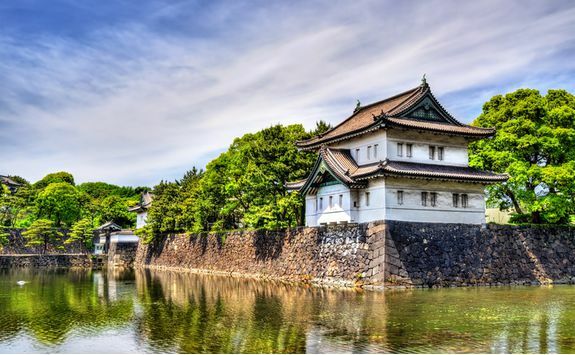 After a delicious Japanese or Western breakfast you will be met at your hotel by your chauffeur and guide for a full day private sightseeing trip around Tokyo. 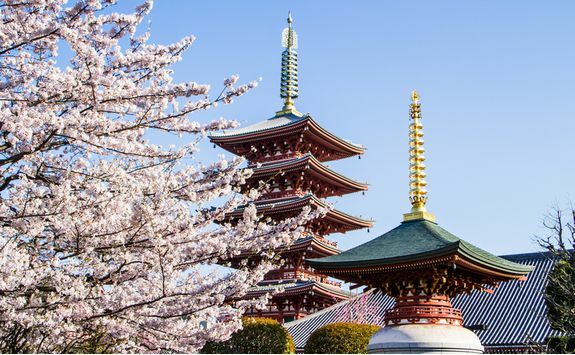 The entire day can be tailored to your exact specifications and to take in places you want to visit particularly, but we would definitely recommend weaving in some or all of the following - Asakusa, Meiji Jingu, Ginza, Shibuya and the Imperial Palace. Asakusa is part of the shitamachi or old town of Tokyo, once the main geisha district and home to the city's oldest Buddhist temple - Sensoji. 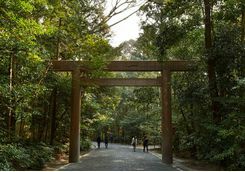 Meanwhile Meiji Jingu is Tokyo's most sacred shrine, an oasis of calm in the heart of the city and dedicated to the Emperor Meiji. 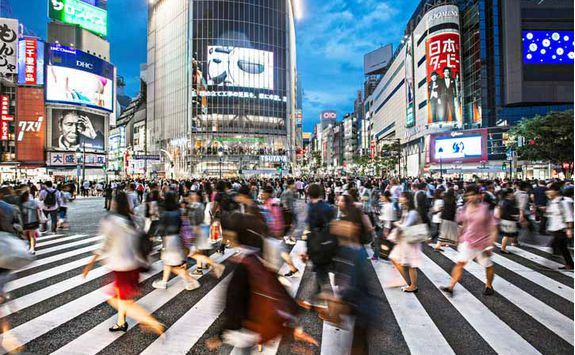 Ginza district, the home of several luxury brand's flagships stores, and Shibuya ward, is famed for its much photographed 'scramble' crossing point. 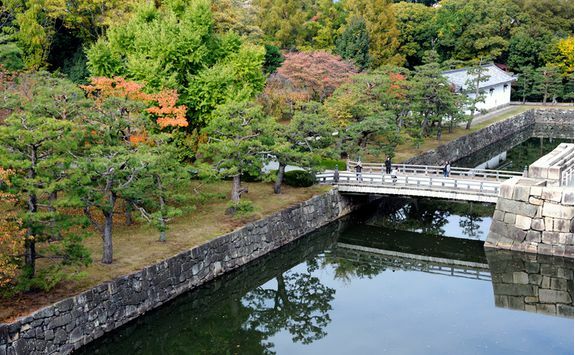 After these monuments to modern Tokyo, the gardens and parks of the Imperial Palace - particularly in blossom season - are a beautiful respite from the busy city beyond. 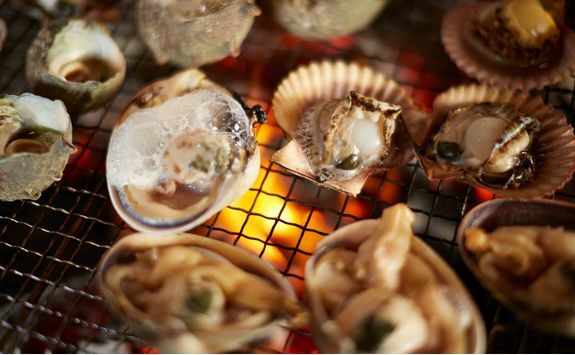 For tonight we can make a reservation in one of the city’s many Michelin-starred restaurants for you. 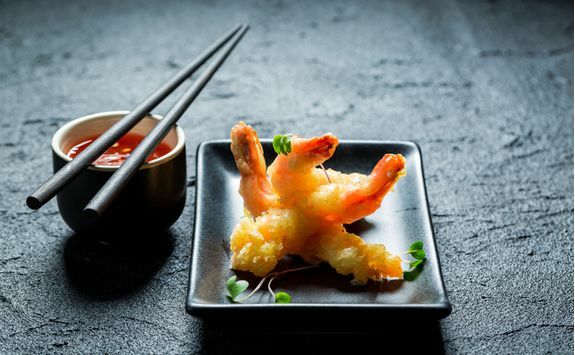 A word of warning on this – many of these restaurants only have a handful of covers so we will recommend trying to book at the time of booking your trip, ideally several months before travel. 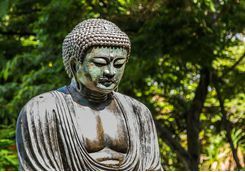 It's time to leave the modern capital behind today, so after breakfast you will be met by your chauffeur for the one hour drive to one of Japan's (many) former capitals - Kamakura. 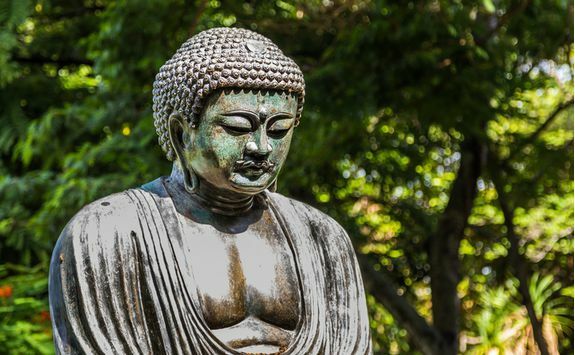 This charming seaside city is known as the 'Kyoto of the East' and is home to the famously gigantic Daibutsu bronze Buddha statue, and many ancient temples and shrines. 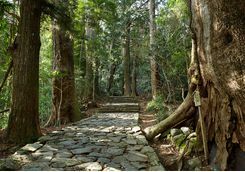 It's a lovely place to wander around with your guide before heading on after lunch to the Fuji Hakone National Park. 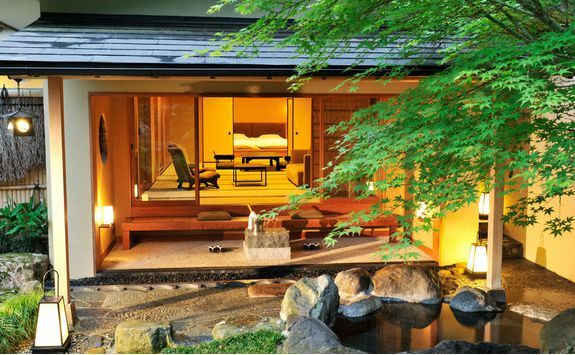 You can enjoy the rest of the afternoon at your ryokan (traditional inn) or walking in the beautiful surroundings. 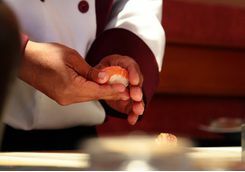 Then, in keeping with a ryokan stay, you will enjoy a kaiseki dinner this evening in your room. 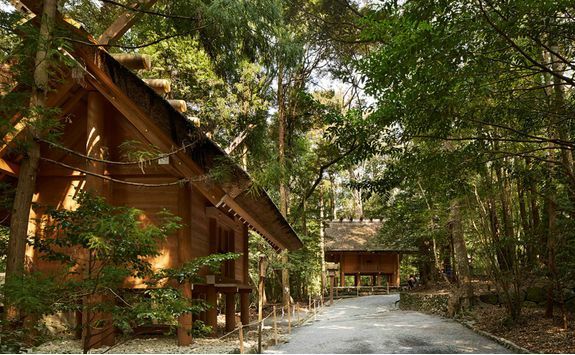 This beautiful rural area is a perfect foil to the ultra-urban vibe in Tokyo, and also offers the perfect contrast to the accommodation in the capital as here you will be staying in a ryokan, or traditional inn. 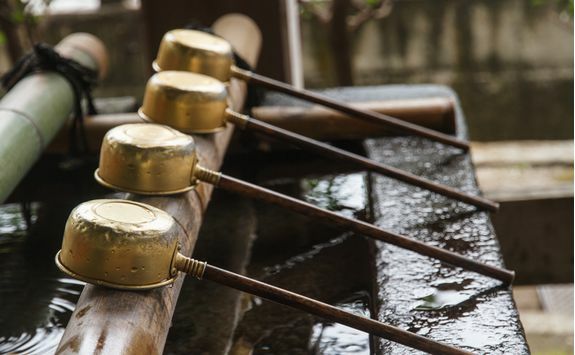 This is another way to experience traditional Japanese culture, because ryokans offer a truly fascinating insight into Japanese home life and you’ll stay in rooms with tatami floors, rice paper walls and futon beds, and wear yakata dressing gowns and slippers. 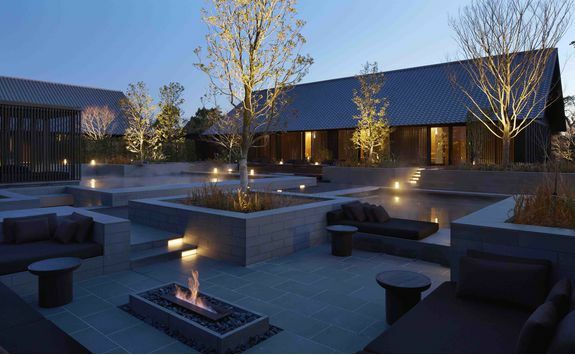 Don't worry, it’s all beautifully done, and we work with only the most luxurious ryokans in the region. 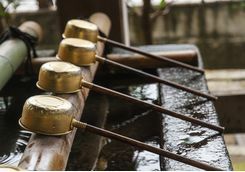 After a traditional Japanese breakfast you will be met at your ryokan by your guide and chauffeured for a full day tour of the Hakone region this morning. The private tour begins with a visit to Mount Owakudani, which is reached by the Guinness World Record holding Hakone Ropeway cable car. 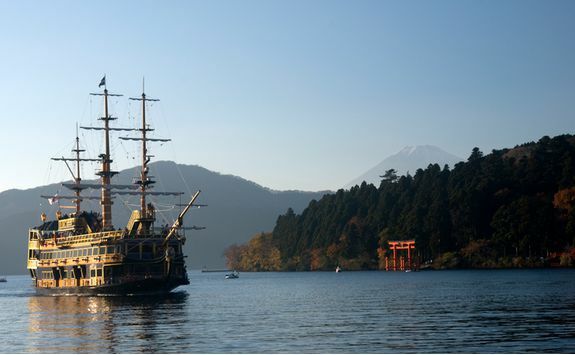 It's a thirty minute ride to the top, and the views of Lake Ashi and - on a clear day - Mount Fuji are outstanding. On route to the top you can see Hakone's most famous hot springs in this highly geothermal area. 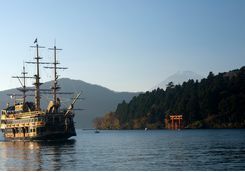 Next stop is Togendai, where you board a huge replica pirate ship (long story…!) 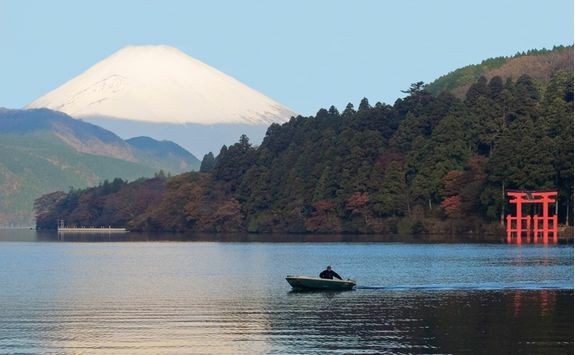 to sail across Ashinoko Lake, which was created by an eruption 3,000 years ago. 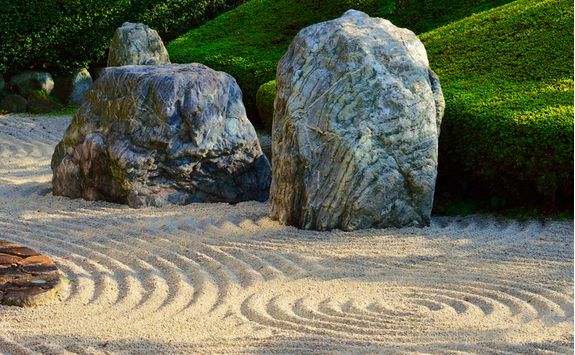 Once back on dry land you will be driven to Hakone Open Air Museum, where various sculptures dot the landscape against a backdrop of mountains. There is also an indoor part to the museum, which includes a gallery space filled with Picasso paintings, prints, sculptures and ceramics. 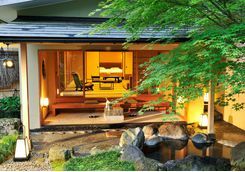 After this full day exploration, you will be returned to your ryokan where you can relax for the evening before another kaiseki dinner. 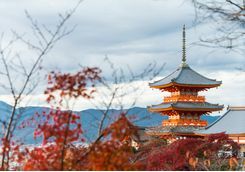 For the journey tomorrow we also recommend using a luxury luggage service, which means you can pack your bags this evening and tomorrow morning they will be whisked to Kyoto so you can travel for the day with just your hand luggage. 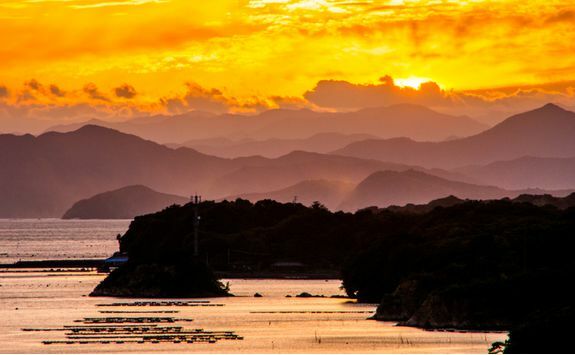 After breakfast at your ryokan this morning you will be met and transferred to Odawara Station, where you will have your first experience of Japan's world famous bullet trains. 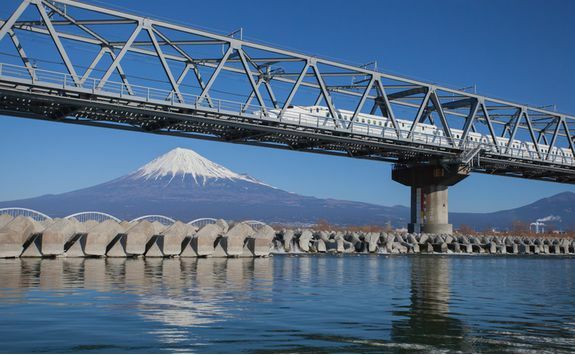 We have booked tickets on the Shinkansen service, which is the quickest of all, and the journey from Odawara to Kyoto will take one hour and 45 minutes. 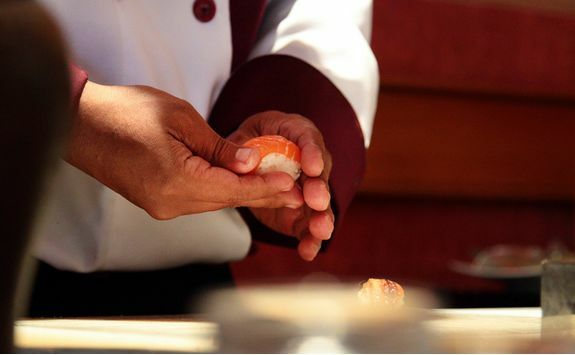 You will be met and transferred to your hotel in the city in time for lunch. 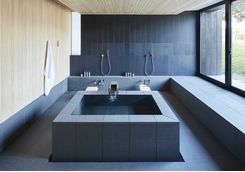 While we love ryokan accommodation, we also believe that a couple of nights at a time is probably plenty, so in Kyoto we recommend you stay in one of the ultra-modern, ultra-comfortable 'western' style hotels. 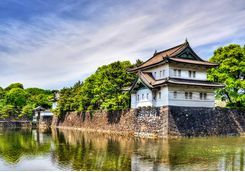 After lunch you will be met at your hotel by your guide and chauffeur for an afternoon tour of this wonderful city - another of Japan's ancient capital's and home to some 2,000 shrines and temples, 17 of which are designated UNESCO World Heritage Sites. 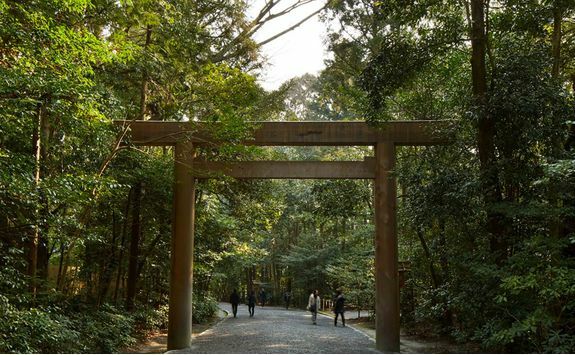 The tour of Japan's cultural capital starts at the Heian Shrine, home to one of Japan's tallest torii gates - the vermillion coloured wooden frames that signify good luck at the entrance to hallowed places. 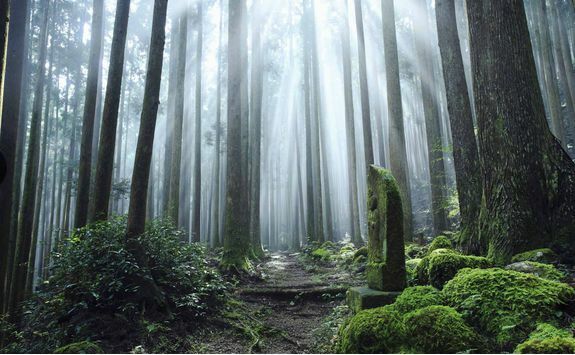 The gardens surrounding the shrine, known collectively as Shin-en, are a particular highlight. 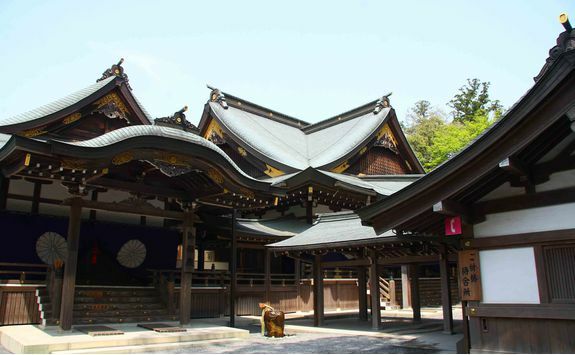 Next stop is Kiyomizu-dera Temple on Mount Otawa, which houses a vast veranda 40ft off the ground and was so beautifully constructed it required no nails. 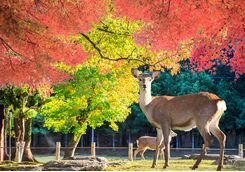 You will be met at your hotel after breakfast by your guide and chauffeured for a second days private guiding in Kyoto and then Nara, yet another ancient capital. 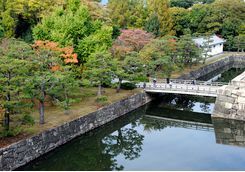 The tour starts at Nijo Castle, an ornamental rather than defensive, castle surrounded by elegant gardens and built for the founder of the Edo Shogunate in the early 1600s. 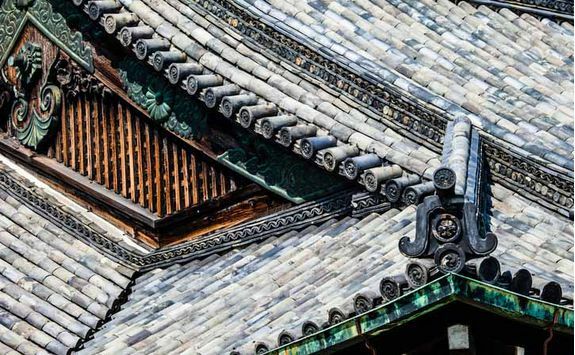 Nijo is a classic example of the Momoyama style of Japanese architecture, noted for its sliding doors and so-called 'nightingale floors', where the floorboards were deliberately designed to give off little chirps to warn of anyone approaching in the dead of night. 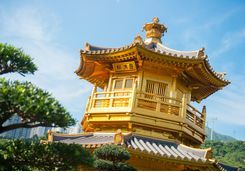 Then you will visit Kinkakuji, better known as the Golden Pavilion. 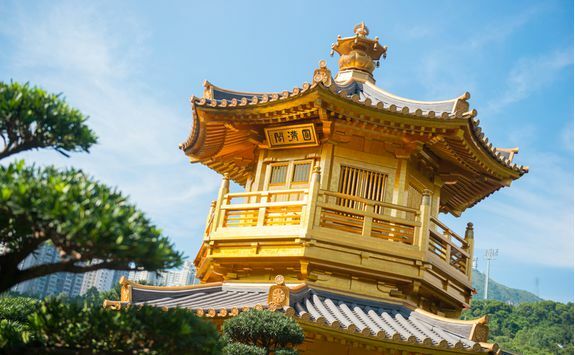 With good reason - this gold leaf covered marvel of a building was once the Shogun's retirement villa (nice work if you can get it!) but later a Buddhist temple. 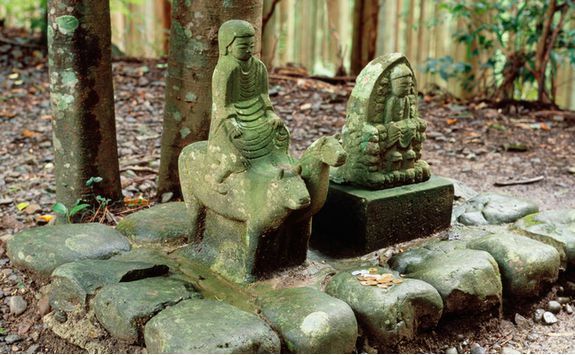 Next stop is Nara, once Japan's capital, if only for a blink-and-you-missed-it 74 years in the 8th century. 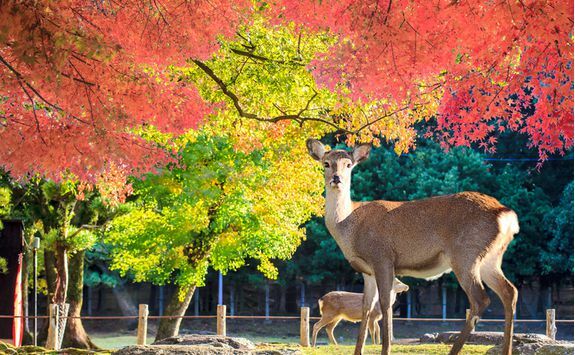 Nara is an hour away from Kyoto by car and the town's main attractions are all clustered around central Nara Park, where a large number of deer roam free. 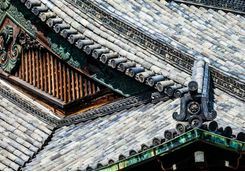 You will also see Todaiji Temple, the largest wooden building in the world, which also houses the largest Buddha in Japan; and Kasuga Taisha, Nara's most scared shrine. We will recommend and can book a table in one of the city’s many excellent restaurants. 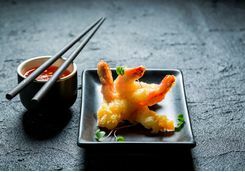 Again, booking early is key, and we would recommend going somewhere that specialises in tempura, the lightly battered delicacy that’s a particular speciality here. You have this morning to explore Kyoto at your leisure, and we would recommend three sites in particular that ought to feature on your exploration. 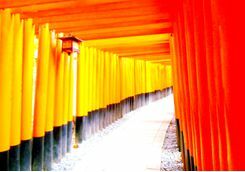 The first is Fushimi Inari Taisha, where thousands of bright vermillion coloured torii gates line pathways through forests. 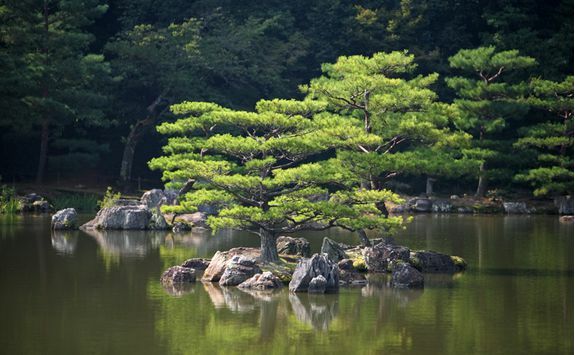 After that, head to Ginkakuji, the Silver Pavilion, with its Zen garden and beautiful pagoda (or to in Japanese). 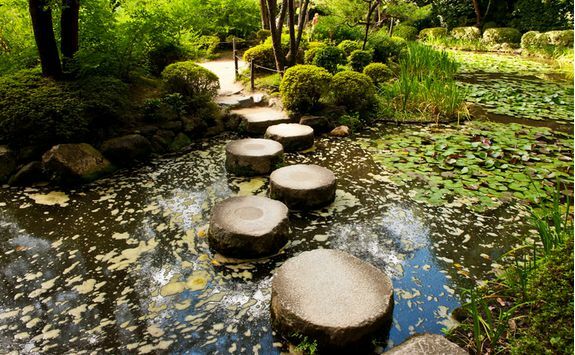 Then finally, wander along the Philosophers' Walk, a stone pathway along a stream lined with cherry trees. 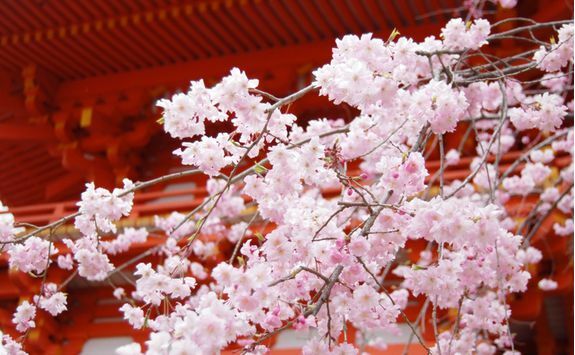 It's a magical (if busy) place to walk in sakura (cherry blossom) season, which runs from mid-March to mid-April. 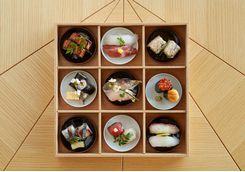 We will then recommend somewhere for lunch, and after lunch you will be met by your guide for an in-depth introduction to Kyoto's geisha culture. 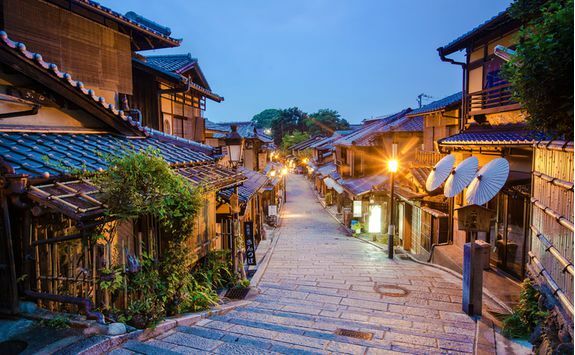 First of all your guide will explain about geikos (the local term for geishas) and their maikos (apprentices) before you wander through the atmospheric alleyways of the Gion district, once the centre of geisha culture. 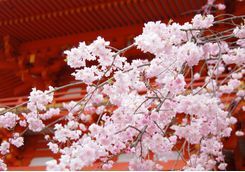 Visit Yasaka Shrine and them Hanami-koji, where charming teashops line the street. 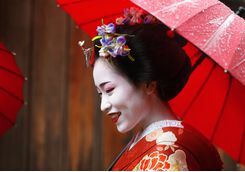 Your next stop on this walking tour will be the theatre where geisha and maiko once performed traditional dances, before you cross Tatsumi Bashi, Kyoto's most famous bridge, passing an ancient teahouse and a small shrine and arriving at Shirakawa Canal. 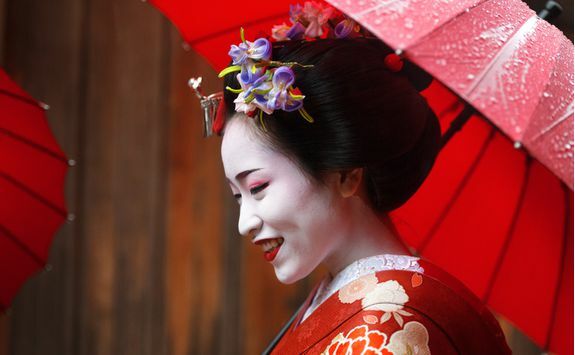 After the walking tour, you will be taken by your guide to a restaurant for dinner with a maiko. 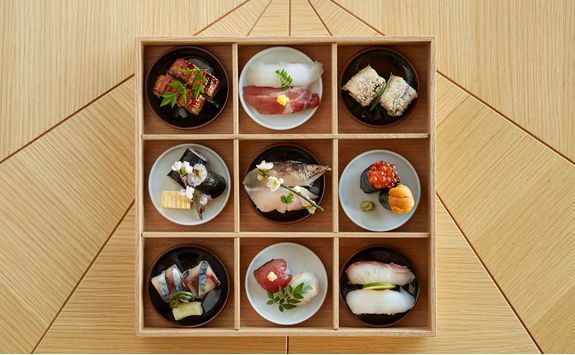 Enjoy a kaiseki dinner and learn about the complex etiquette and rules governing geisha culture. 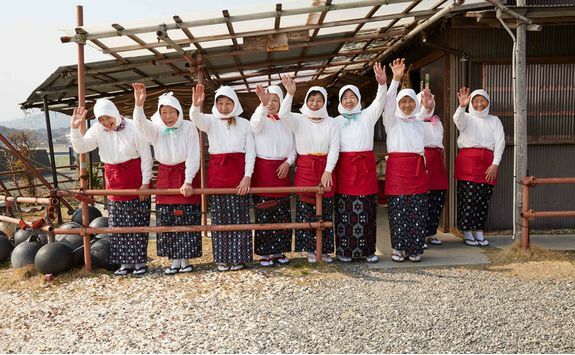 During dinner the maiko will perform traditional dances and might even teach you a traditional Japanese drinking game or two! 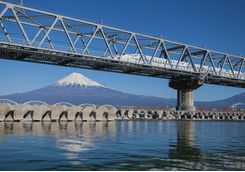 After breakfast today you will be transferred to the train station for your one hour Shinkansen bullet train journey to Nagoya Chubu Airport. 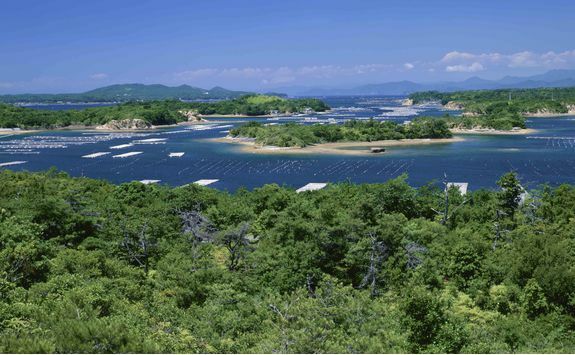 There you will board your helicopter for the 25 minute transfer to Amanemu, Aman group's second hotel in Japan. 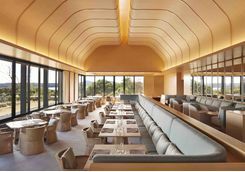 You should be there in time for lunch at the excellent (albeit not very imaginatively named) Restaurant, whose vaulted ceilings and hilltop location offer stunning views out across forests and across to Ago Bay. 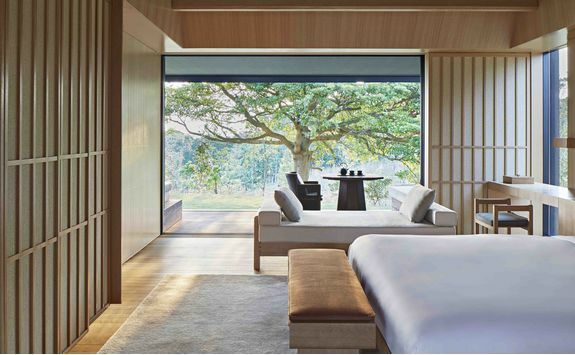 After lunch today you can relax in the super luxurious surroundings of your suite, indulge in treatments at the spa (we will pre-book these, naturally), sit by the 100ft pool or indulge in Aman’s take on a traditional Japanese onsen hot spring ritual. After a fairly intense few days it's time to ease off the gas, so we recommend a long leisurely lie-in and late breakfast. 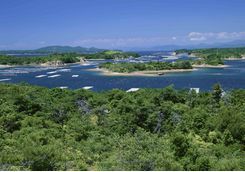 After that we have arranged a fascinating trip to nearby Ago Bay, home for hundreds of years to the ama, or female divers, who collect sea urchins, shellfish, seaweed and - of course - pearls. 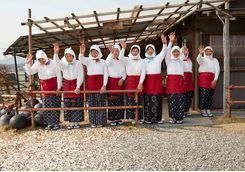 Your guide will introduce you to a local ama before you hear about their traditional way of life that has gone on pretty much unchanged for centuries. 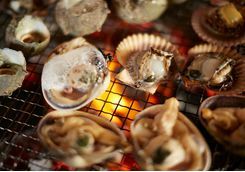 Once introduced, the ama will create a special lunch in her amagoyma, or fisherwoman's hut, which you can enjoy together while she regales more stories about this extraordinary profession and the history of the wider region. After lunch your guide will take you to explore Ago Bay in more detail. 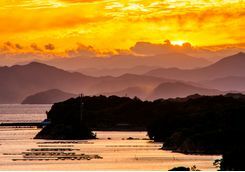 The bay is part of the famously beautiful Ise Shima National Park, and you will see the forests, mountains and oyster rafts for pearl cultivation out in the bay. 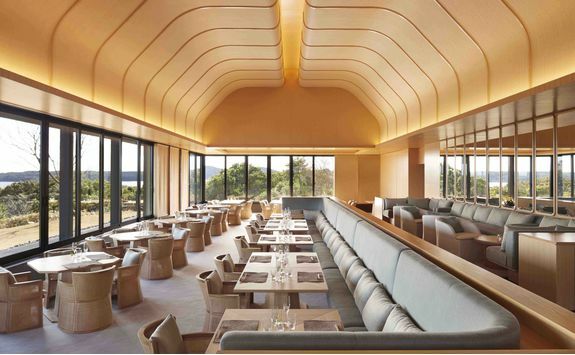 Back at Amanemu, enjoy a drink overlooking Ago Bay before another sublime supper in The Restaurant. 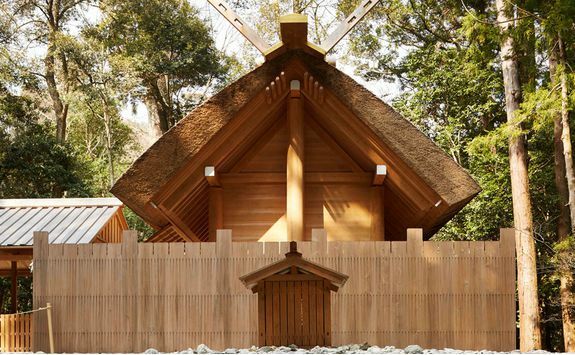 One of the Shinto religion's most sacred shrines - Ise Jingu - is just 45 minutes away by car, and so we have booked you a morning's visit to this stunningly serene place. 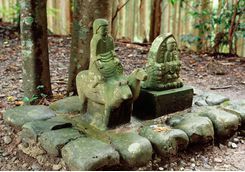 It's a relatively early start, but well worth it as your expert guide takes you around what is in effect two separate shrine complexes, Naiku and Geku. 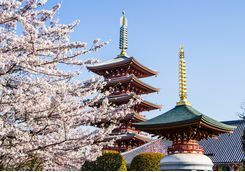 The reason for the early start is to make sure you are there in time for the morning chanted prayers and then the daily ritual dance in the main Naiku shrine. 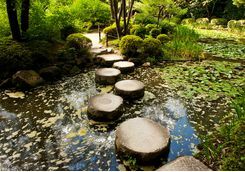 The guide will then show you how to wear a kimono before taking you to parts of the shrine complex that are not normally seen by tourists. 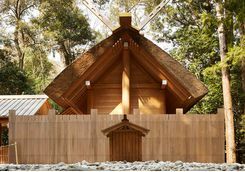 It's a thoroughly spiritual experience, and one that shouldn't be missed if you stay at Amanemu. Head back to the hotel in time for lunch, and then you have the afternoon at leisure to lie by the pool, enjoy spa treatments or slip into the perfectly warm onsen pools. 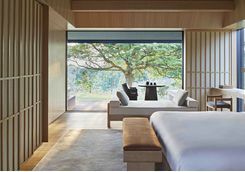 Today is your last day at Amanemu so the activities on offer depend on whether you want to make the most of your R&R time or keep busy. 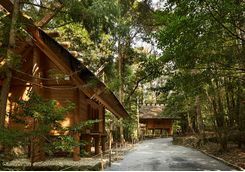 If you opt for R&R then we strongly recommend pre-booking an Amanemu Wellness Day Programme; if you want to stay active, then we recommend heading off early for the three hour drive to tackle part of the Kumano Kodo Pilgrimage Route with a guide. 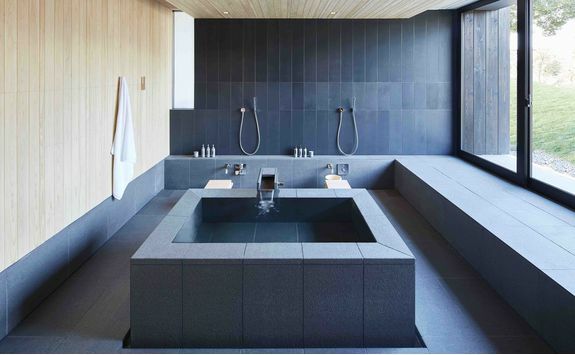 The ultimate in pampering, the Amanemu Wellness Day Programme at the Amanemu spa starts with a private yoga session, followed by a 75-minute aquatic bodywork session, and finally a 90-minute Aman massage. 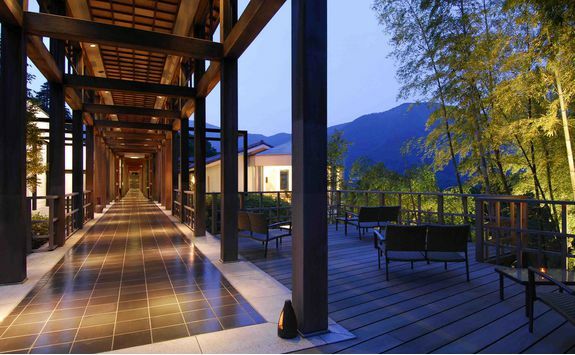 The package includes use of all the facilities, lunch in the spa and refreshments. 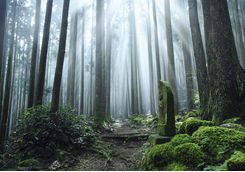 Further afield, The Kumano Kodo Pilgrimage Route was awarded UNESCO World Heritage status in 2004 and consists of a network of trails along the coast and through the mountains. 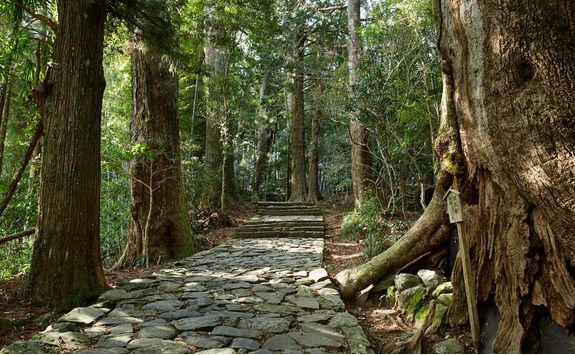 These trails have been in use for over a thousand years by pilgrims heading to the three major shrines at Kumano. 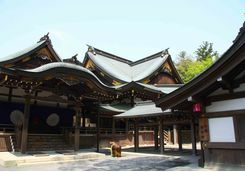 Your guide will lead you along a stretch of one of the routes, where you will pass lovely Oji shrines, smaller temples dedicated to the region's deity, and places where pilgrims perform rituals on route. This morning you will be transferred by helicopter back to Nagoya Chubu Airport in time for your one hour domestic flight to Tokyo Haneda. 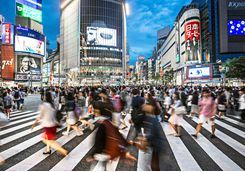 On arrival in to Tokyo you will be met off the plane and transferred to your hotel for one last afternoon and evening in the capital. As before, we will recommend restaurants and bars, and can make bookings in advance. 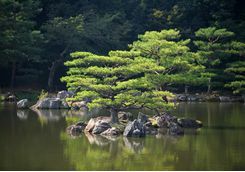 After breakfast this morning you will be transferred to one of Tokyo's two airports (Narita or Haneda) for your flight home.